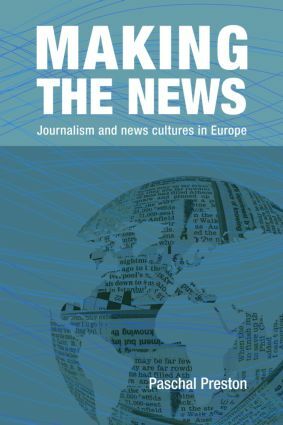 Making the News provides a cross-national perspective on key features of journalism and news-making cultures and the changing media landscape in contemporary Europe. . Focusing on the key trends, practices and issues in contemporary journalism and news cultures, Paschal Preston maps the major contours of change as well as the broader industrial, organizational, institutional and cultural factors shaping journalism practices over the past two decades. Making the News links reviews and discussions of the existing literature to original research engaging with the views and experiences of journalists working at the ‘coal face’ of contemporary newsmaking practices, to provide an original study and useful student text. New times, new news paradigms?